Let’s face it, it’s easy to forget about the clients we’ve got. They’re happy, we’re happy, job done, right? The trouble is, ignoring your existing customers is like carrying water in a leaky bucket. As fast as you put the water in the top, it pours out of the bottom… and that’s exactly what’s happening to your customer base. Unless your product or service is completely unique, you have competitors watching from the wings, ready to pounce on your clients. Our existing customers need to feel cared for. They need to feel like they have a relationship with us. That they like us and trust us. If, once they have placed an order with us, we completely ignore them, the relationship, that we’ve just spent time and money to grow, will die very quickly. Relationships need to be nurtured. Now I understand that constant contact can be a mission in itself when added to all the jobs you have to do day to day. That’s why the e newsletter is so useful! It doesn’t have to be war and peace, it just has to be regular, and in most cases, non salesy. People want to be informed not sold to. Don’t get me wrong, I’m not saying that you shouldn’t be telling your existing customers about your products, special offers etc. What I’m saying is that it needs to be done with care and that can’t be the only thing in the newsletter. For instance, if you’re a garage and you’re looking to sell more tyres during October, a newsletter article in September about how to choose the right tyre, not forgetting tips on how to make your tyres last longer, with a carefully crafted offer for winter tyres is probably the way forward. This type of article should stand alongside other news, about say your 10 year anniversary (see what I did there? ), about your new apprentice, even stories about your customers can play a part. 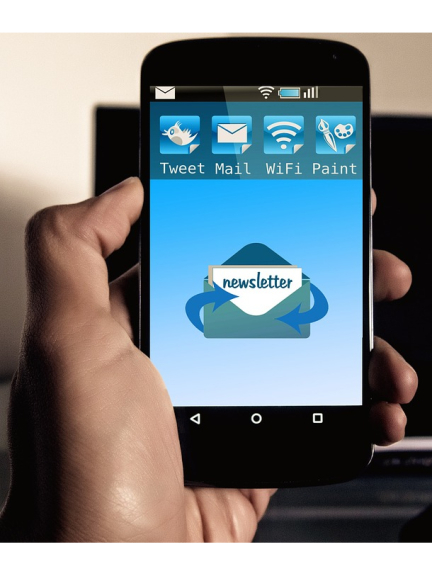 The most important thing about the e-newsletter is it keeps you in front of your existing customers, reminding them why they bought from you in the first place and helping to keep the relationship alive. PS If you need some advice as to how to put a great newsletter together then our Free marketing critique is for you.